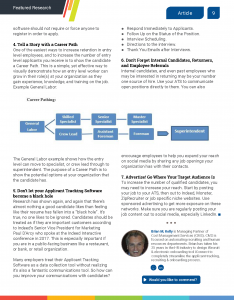 Last month iRecruit participated in HR.com’s webinar series The State of Recruitment Marketing and Employer Branding. We discussed Recruitment Marketing Strategies You Can Use Today. In addition iRecruit’s featured research is included in the May 2018 edition of HR.com’s Talent Acquisition Excellence magazine with the article 7 strategies to reduce time to find and time to hire metrics. In the article we provide 7 simple things most companies can do today, right now, to improve recruitment success. 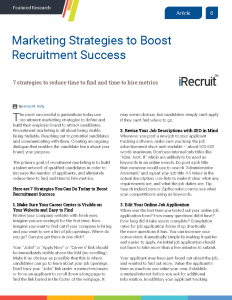 This entry was posted in news and tagged hr.com, irecruit, recruitment marketing, webinar. Bookmark the permalink.